A very happy holi to all my friends. Holi is a festival of colors and is a two day celebration that begins with Holika Dahan and is concluded by playing with colors. It marks end of evil thoughts and sharing of warmth and love. The beauty of the festival is due to the delicacies made and shared with family and friends. Tomorrow is ‘Holi’ and here in Maharashtra (Western state of India) Puran Polis are made as ‘prasad’ offered during the ‘Holika Dahan’ which is a ritual followed for years with a faith of win of good over evil. There is a story behind the tradition which we were taught is schools when we were kids. 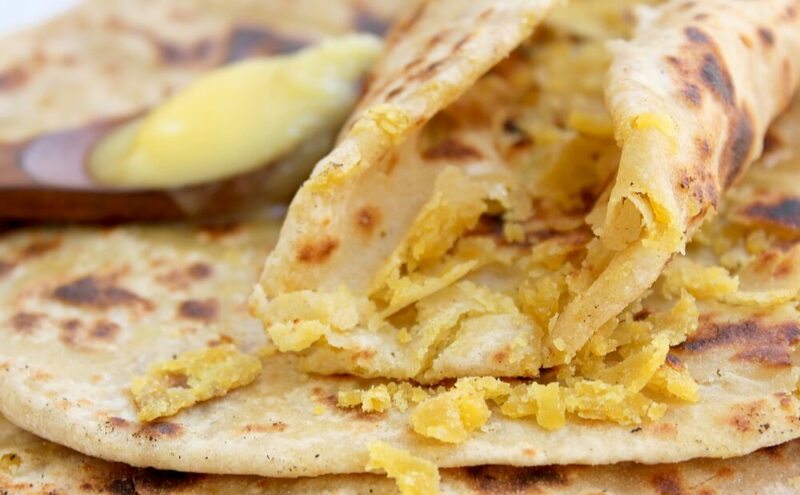 ‘Puran Poli’ in Marathi (Maharshtra) or ‘Obbattu’ or ‘Parappu Poli’ in Southern India is a delicacy made out of chana dal which is split and skinned Bengal gram and gul (jaggery) that is called ‘pooran’ stuffed in a soft and stretchy dough and rolled into polis or rotis. The southern version is a little different than the Maharashtrian one and I will post that one soon. Oil for kneading the dough. elastic in consistency. Cover and keep aside for an hour or so. 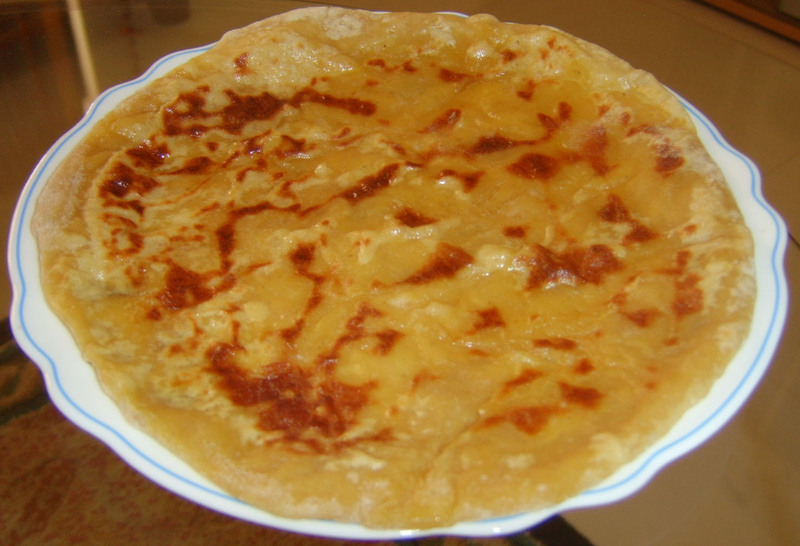 amti’ – its a type of Maharashtrian dal served with puran poli. Else you can cook this water along with the dal to prepare the puran (stuffing). In a non-stick pan, heat some ghee and drop in this cooked dal into it. Cook this dal stirring continuously till it thickens and all the water has dried up. Then add the jaggery to it. Mix well and stir continuously to form a thick puran. Add elaichi and nutmeg powder, mix well, remove from heat and let it cool at room temperature. Later use the ‘puran-yantra’ or grinder to grind this dal till smooth but thick. Do not grind it for a longer time, since dal will liquefy and it will be really difficult to stuff it in the poli or roti. sticky and it stretches when you roll poli out of it, hence take small dough balls. Stuff the puran into it, stretch the dough to meet its ends and seal. Use maida for dusting and rolling. Roll poli or roti out of it and cook on a tava / griddle just like rotis. Spread lots of ghee on it and serve with milk. Looks yummy. Can you please send this to Sweetseries event in my blog? Thanks.